We saw Black-naped Hare many time but did not chance to photograph them. On that day while returning to our home, we saw Black-naped Hare on road. 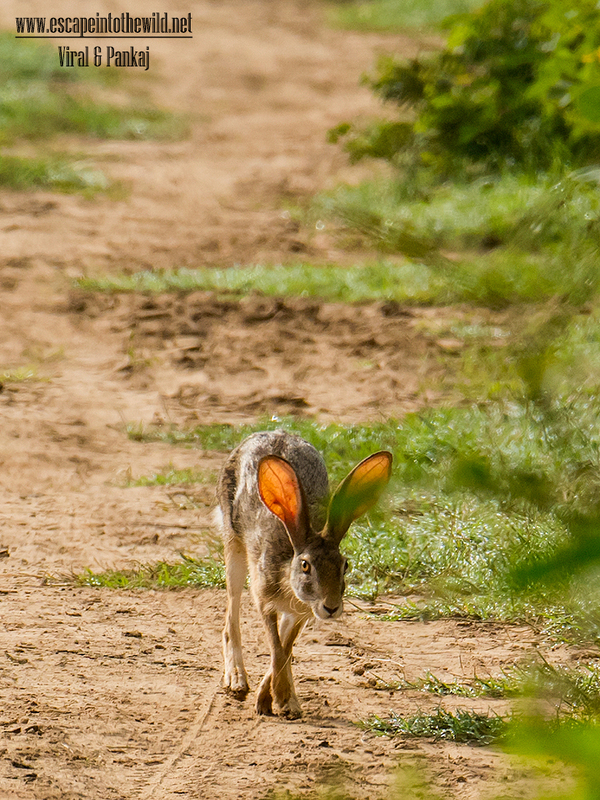 Black-naped Hare foraging. It did not notice us so get some image of it. Once it notice us it disappear like no where.